FX has always had an indulgent nature towards its TV series, allowing the Paddy’s gang and Archer to run amok in primetime. 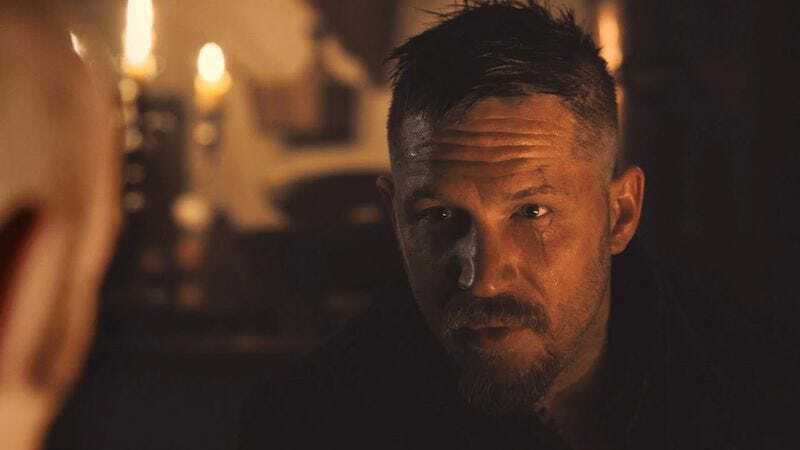 Now the network’s preparing to wave Tom Hardy’s Taboo in everyone’s faces and shock polite society beginning January 10, 2017. The limited series comes from the Mad Max: Fury Road star and his father, Chips, whose name we’re obligated to mention in every Hardy boys post because of its quintessential British-ness. Hardy the younger teamed up with The Killing’s Kristoffer Nyholm on the 8-episiode series, which stars the former as an aristocrat who, after being stranded in Africa and presumed dead, miraculously makes his way back to London for a spot of tea and his inheritance. According to FX’s premiere date announcement, Hardy’s nobleman, James Keziah Delaney, will find himself “encircled by conspiracy, murder and betrayal” as a “dark family mystery unfolds in a combustible tale of love and treachery.” He will also wear a top hat, and be accompanied in the cast by Jonathan Pryce, Franka Potente, Stephen Graham, Tom Hollander, and more.